The Problem With Bigfoot - ParaNorthern - YOUR Stories of strange, unexplained and scary events. When I see a heading like the one you just read I automatically think to myself "Like there's only one problem with Bigfoot." Cryptozoology (the search for animals whose existence has not been proven due to lack of evidence - Wikipedia) should be feeling somewhat vindicated these days due to a few recent discoveries. One was the definitive confirmation of the existence of the Giant Squid (Wikipedia, underwater photos from 2004, video of the giant squid that swam into Japan’s Toyama Bay in December 2015. Another, and much simpler case is the return of cougars to areas of Eastern Canada where they were long thought extinct. Whether the cougars are the original Eastern Cougar, Mountain Lions that have migrated from the west filling in territorial predator gaps or cats that were once pets now released into wild seems to be only thing up for real debate. But Bigfoot, essentially the poster child for the Cryptozoology movement, has not received the same amount of positive attention. 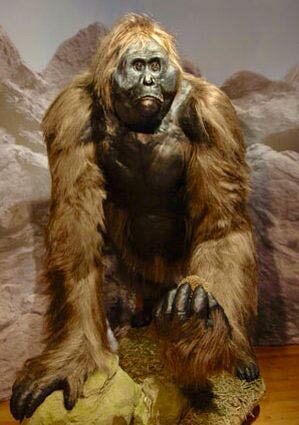 Even the Yeti, Sasquatch's alleged Himalayan cousin receives more favourable consideration. Read this article related to the DNA research that is taking place between the University of Oxford and other genetic researchers in Europe. However, in North America, serious research seems to be plagued by hoaxes and profiteers. People like Rick Dyer and Tom Biscardi need to get a life. The people involved in Finding Bigfoot, now entering it's ninth season since it's debut on May 30, 2011 need to either show the results of the DNA and other evidence they've been collecting, or admit they have nothing and stop the show. And more people need to confront the hoaxers. That's what Steven Streufert and Jamie Wayne are doing visiting Dr. Matthew Johnson's research area he calls the Southern Oregon Habituation Area (SOHA). Dr. Johnson has a history of showing photos with circles in them claiming to be "invisible" Sasquatch. Read Top Secret Bigfoot Habituation Area Exposed: Invasion Of The Bigfoot Skeptics for more details. The author of this article is careful not to call Johnson a hoaxer, but points out that he doesn't like any of his claims even being questioned. So if we're ever going to get to the bottom of this we need to give less attention to the hoaxers together with the profiteers, and invest more resources into serious research of this creature. If it exists we need to know, and if it's all fiction or myth, well, we need to know that as well. As always, we welcome your thoughts and comments.